A former finance minister predicts inflation. A former finance minister, MP Viktor Pynzenyk, has said that the growth of salaries laid down in the 2018 state budget is divorced from the economy. The lawmaker told reporters on the sidelines of the parliament on 7 December that he feared that growth of incomes not accompanied by economic growth is fraught with inflation. "He can raise wages a hundred times, thousand times, but I really wish that people receiving the money saw goods rather than the higher price in a store. If salaries are detached from the economy, people will be in higher price rather than commodity," he said when asked to comment on the statement of President Petro Poroshenko about a minimum salary at 4,100 hryvnia. 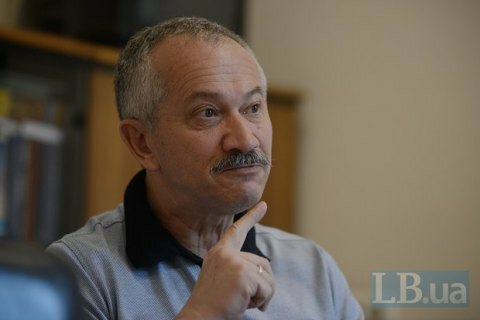 Pynzenyk stressed that although the draft budget provides for a modest increase in salaries, it cannot be covered even a 3% economy growth. The size of minimum wage in Ukraine is 3,200 hryvnia. The draft 2018 state budget provides for its increase by 16.3% to 3,723 hryvnyas from January 1.